They are so pretty and mixing different patterns together is great fun! then a cover button will usually solve the problem. which will give them a really professional finish. They are also a great way to make use of small fabric remnants. They come in many sizes and there are plastic or metal versions. I use cover buttons on cushions, vintage hearts, clothing and knitting projects. creating something a little more unique or quirky! by all the ladies of both our families over many years. old tea dresses and military uniforms. 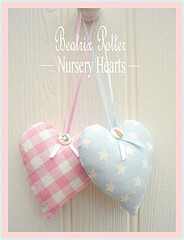 it is a lovely way to make use of such pretty decorations in my heart projects . and safely tucked away, they are still serving a purpose. designs above make really pretty additions to my projects. antique, covered, handmade, wooden or pictorial? ... I think it makes the place so bright and cheery! so please call back for more news! Hi Susan, thanks for popping into Flutterby Patch. I'm glad you did because I hadn't realised you had a blog. Silly me! Such a pretty blog and such a feast for the eyes. 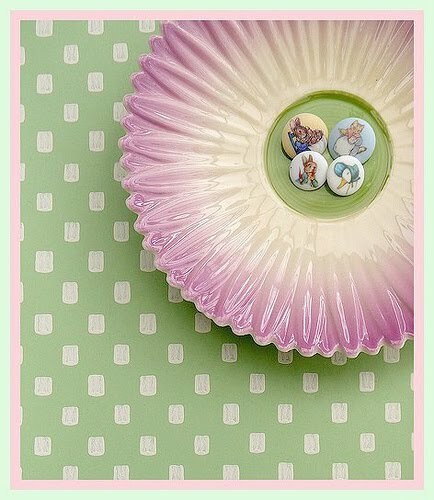 Love your buttons. I have a collecton and only wish I could use more. I once saw a lady (at a garden festival) that was wearing a hand knited jacket covered all over in old buttons and it was very eye catching but I imagine extremely heavy to wear. Thank you so much for calling by, Eli and for your lovely comments!